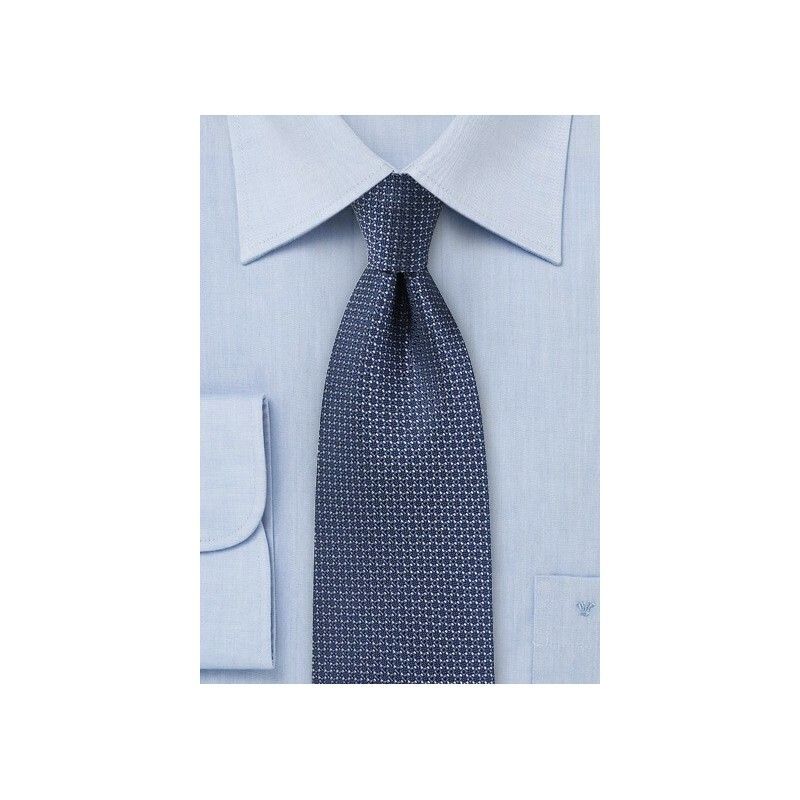 You simply can't go wrong with this elegant woven silk tie in classic navy blue. The color is effortless to pair to any suit color. It is a tie that looks fantastic in Summer as much as Fall, Winter, and Spring. 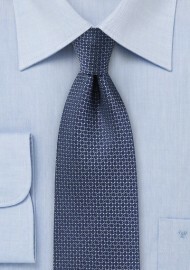 For the perfect summer look pair this tie with a light beige summer suit, pale blue shirt, and a navy pocket square. For the Fall and Winter this tie is best paired with classic suits in dark navy and charcoal. Made from woven silk.